Pour all ingredients except the sliced pear over ice in shaker. 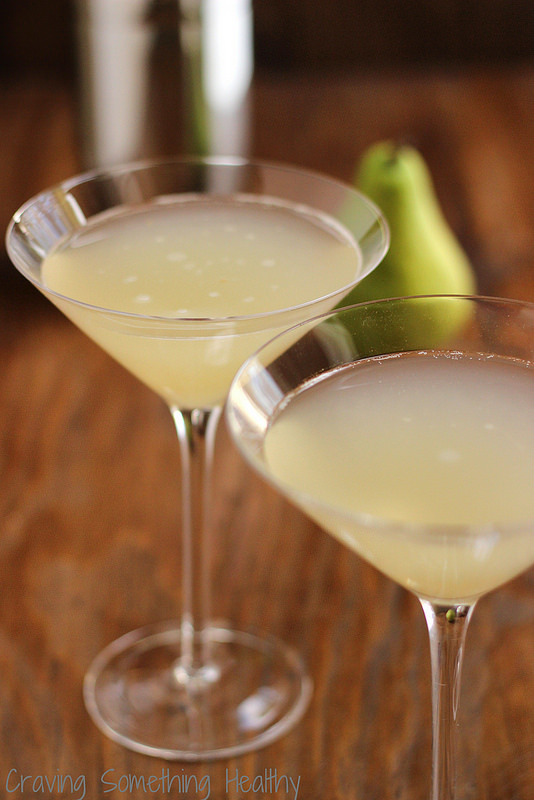 Float slied pear in cocktail. Enjoy! To make the pear puree, place the pears only from one can pears in heavy syrup, and add a few teaspoons of the pear syrup from the can into a blender. Use the pear syrup to get to the consistency of baby food. The vodka and simple syrup are going to dilute it considerably so don't thin it out too much.